Whether you're shopping for back-to-school fashion, holiday gifts, home decor, or just for fun, Vancouver is the place to be. 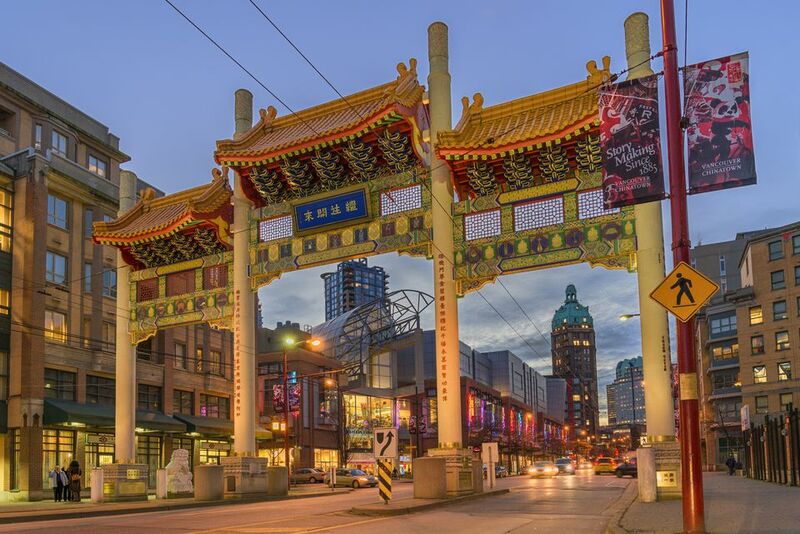 From luxury brands to inexpensive imports, you'll find what you need at these top 10 Vancouver shopping destinations. When it comes to Vancouver shopping--particularly for fashion--it's hard to beat the world-famous Robson Street. On Robson, you'll find a wide variety of mid-range shops, ranging from international brand names like Zara and Banana Republic to Canadian retailers like Le Chateau and Plenty. From Robson, it's a quick walk to Pacific Centre Mall, ​which has similar shops. For luxury retailers--including Tiffany's, Hermes and Gucci--walk one block north to Alberni Street, Vancouver's version of Rodeo Drive. South Granville is one of the best Vancouver shopping streets: it's the perfect place to shop for fashion, antique and modern furniture, books, home accessories, and cookware, and contemporary art. Shops range from famous, international stores, like Williams-Sonoma and Pottery Barn Kids, to small, unique local boutiques. Home to high-end independent fashion--including the gorgeous menswear at Roden Gray and the perfect jeans at dutil denim--as well as the best interior design stores (Inform Interiors) in the city, Gastown is another premiere Vancouver shopping destination. You'll also find plenty of First Nations art galleries, antique shops, and streetwear, too. For Vancouver shopping that's unique, trendy, and Canadian-designed, Main Street--from 20th Avenue to 22nd Avenue--is the place to go. Find fabulous local- and independent designers at Twigg and Hottie, designer men's and women's wear at Eugene Choo, and local jewelry and bargain fashions at Barefoot Contessa. Situated in the heart of Kitsilano and walking distance from the beach, West 4th Avenue is a well-known Vancouver shopping destination for maternity wear and baby accessories, athletic clothes and equipment (especially yoga! ), and kitschy shops like the Candy Aisle. One of Vancouver's most famous landmarks, Granville Island is packed with fabulous shopping; it's definitely not just for tourists! Shoppers will find toys galore at the Kids Market, plus locally-owned stores full of home decor, jewelry, and First Nations art. It's also, of course, home to the Granville Island Public Market. As immense as its name implies--it is the biggest mall in B.C.--Metropolis at Metrotown is one heck of a shopping center: It has over 450 stores, plus restaurants, movie theatres, and unique events. Located in Burnaby, this mall is just 30 minutes from downtown Vancouver by SkyTrain. Vancouver shopping includes an array of department stores, but the two best are the mid-range Hudson Bay Company (The Bay) and the high-end Holt Renfrew. The Bay is the most popular store for wedding registries; it carries furniture, appliances, and housewares as well as fashion. Holt Renfrew--which has only one location in Vancouver, in downtown--specializes in fashion-only, carrying high-end designer labels. Kerrisdale Village--located in southwest Vancouver--has all its shops on one street (41st Avenue from Maple to Larch), making it easy to stroll and browse. Full of locally-owned shops and boutiques, the district is perfect for shopping for gifts, specialty foods, and high-end kids' clothes.